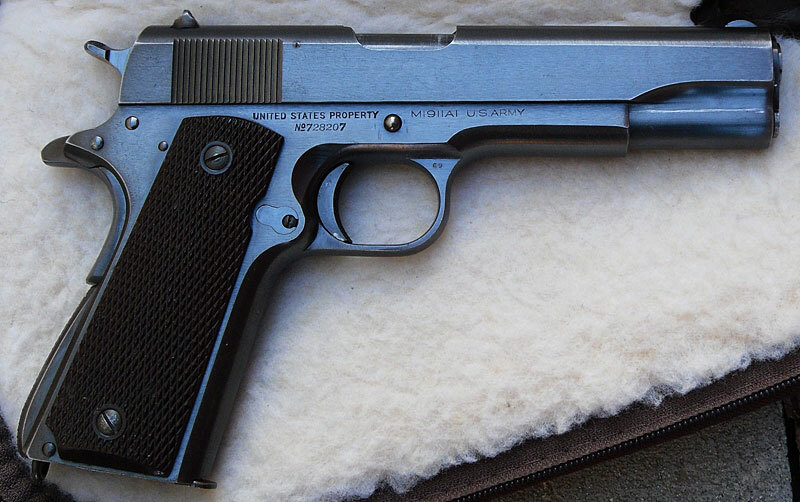 Colt Model 1911A1 - Blued Colt M1911A1 .45 cal. 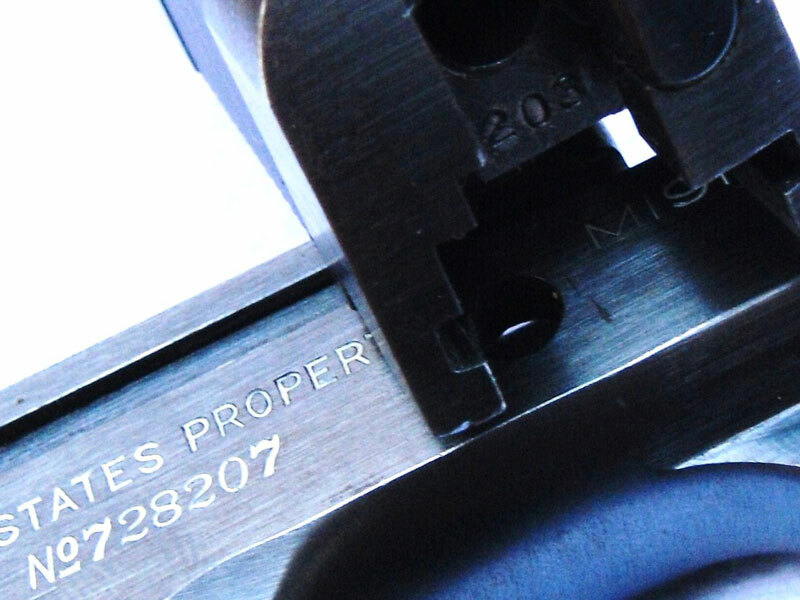 serial number 728207, RS inspectors mark on left side of the frame. 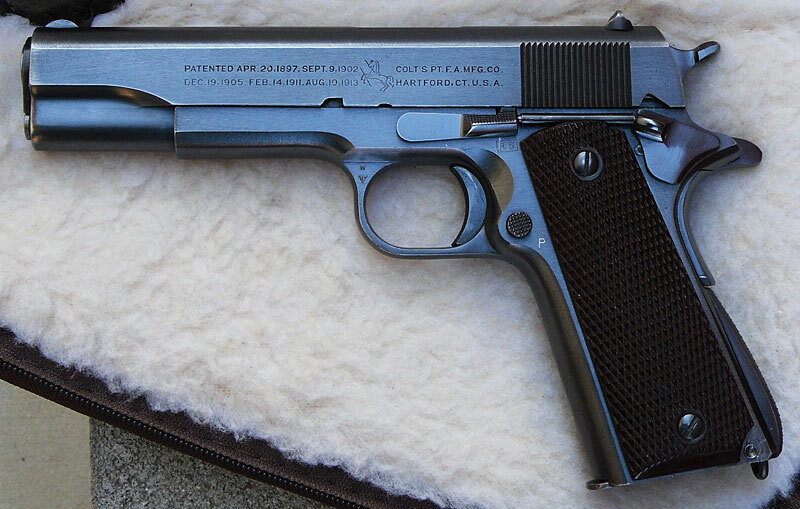 Pistol was shipped in a batch of 2,500 to the Commanding General at Springfield Armory on April 30,1941. RS inside a Box for Colonel Robert Sears. 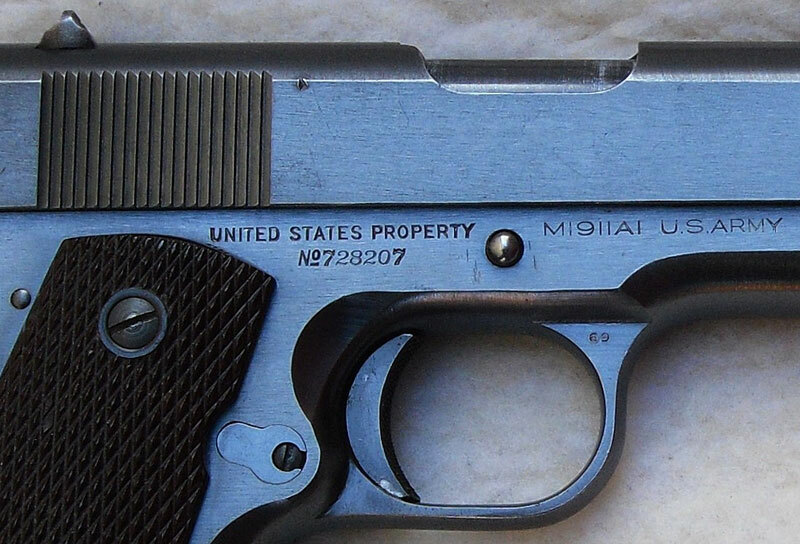 Close-up of serial number and United States Property mark. 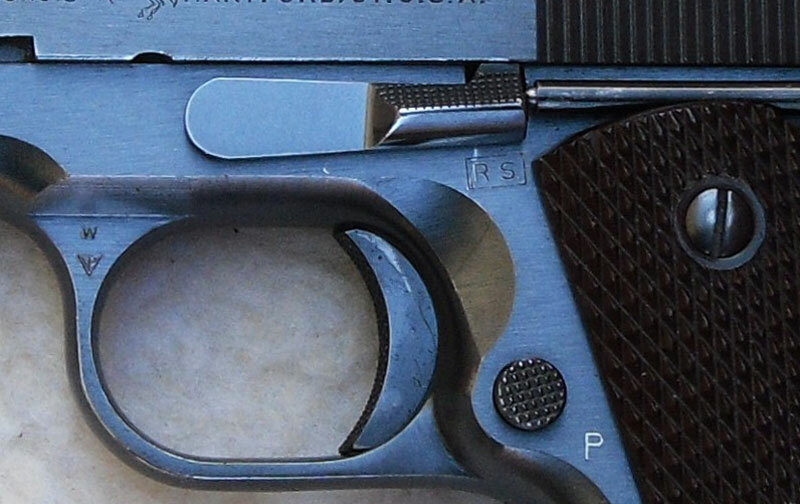 Serial number on the rear of the slide is 728203.